Canvas People is having an great deal on photo canvases! 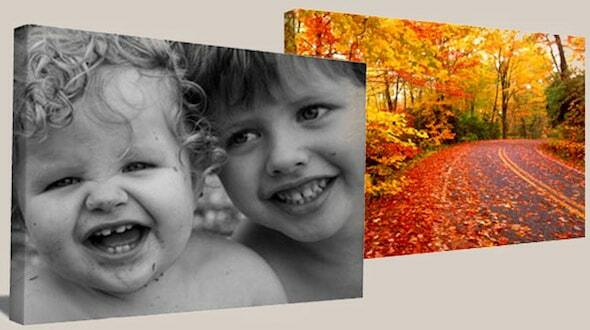 You can currently save 85% off these great custom photo canvases! Grab your favorite holiday photos and make some great custom artwork for your home! Prices start at $7.50 for an 8×10 photo canvas! Or save more on the larger sizes as well! My family and I had photos taken together and I really wanted a big canvas made to hang in our new house! It was so easy to order, it turned out BEAUTIFULLY, and I have already ordered 5 more since this one! I have ordered 3 canvas prints from CanvasPeople and have not been disappointed yet! I ordered 2 canvases, one for a gift and one for myself. The person who got the gift was thrilled and I love mine. I am looking forward to ordering more from Canvas People. Thank you so much! Hurry over to Canvas People and Save up to 85% off your new Photo Canvas today!